Այդ իրադարձությունների անմիջական վկա, Մյունխենում ԱՄՆ-ի գլխավոր հյուպատոս Ռոբերտ Մերֆին իր հուշերում գրել է. ↑ Dan Moorhouse, ed. 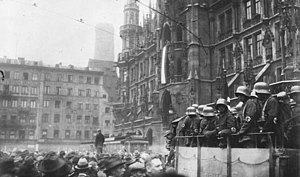 The Munich Putsch. schoolshistory.org.uk, accessed 2008-05-31. ↑ Hitler's Festungshaft ("fortress-way"). 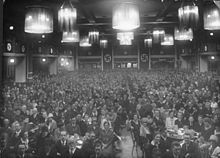 Hitler's sentence was to be served in the mildest form of incarceration under German law. ↑ Claudia Koonz, The Nazi Conscience, p. 24, 0-674-01172-4.